The flora and fauna of French Cay, Turks and Caicos. French Cay's interior supports an interesting array of salt-resistant ground cover and prickly-pear cactus. 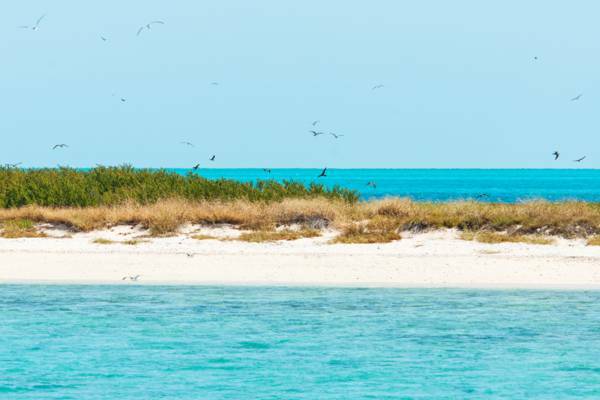 Found 18 miles (29 km) south of Providenciales and 18 miles (29 km) southeast of West Caicos	, French Cay is a very small low lying island and the only island in the Turks and Caicos from which no other island can be seen. 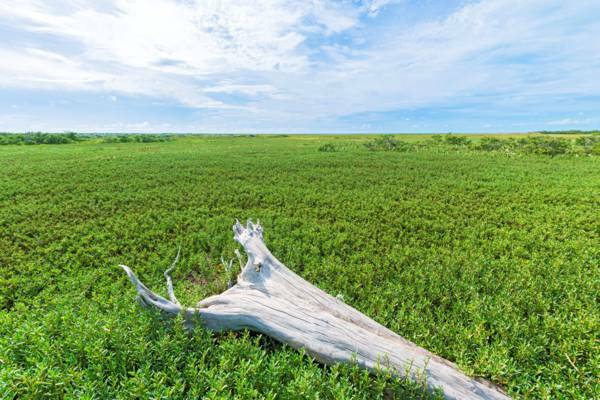 Total land mass is about 22 acres (8.9 hectares). Light tower at French Cay. The wrecked ship on the horizon highlights the need for such precautions. 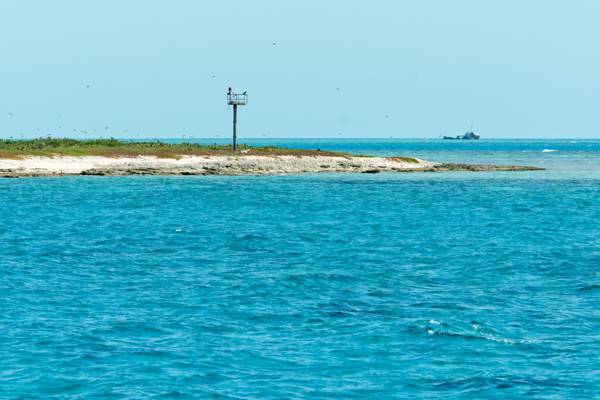 The entire cay is a protected wildlife sanctuary with restrictions on landing. Brown Noddies, terns and gulls can be seen in large numbers in the area. Although a mere speck in the ocean, French Cay has a bit of history. One of the many pirates that used to operate in the Caicos Islands, famous buccaneer captain Françoise L’Olonnois (also known as Jean-David Nau) was rumored to have used French Cay as a lookout base to scan the deep water south of the Caicos Banks. Another interesting event is that French Cay was considered for a lighthouse. During the period of time when the French controlled Haiti, a marine engineer (who was based in Haiti at the time) examined the cay to see if it was a suitable site for a lighthouse and if the benefits were worth the expense of construction and upkeep. A small beach can be found off the north side of French Cay. The other sides of the island have low rocky coastlines. 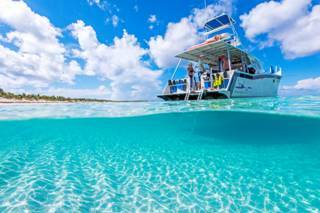 Several of the best dive sites in the country are located close to French Cay. Due to French Cay being on the south wall of the Caicos Banks barrier reef, the deeper wall areas are more exposed to the sun than most of the West Caicos and Providenciales wall sites and consequently have better lighting and a bit more vibrant corals. When diving nearby, dive boats often spend their surface interval on the leeward side of the island. Several modern wrecks can be seen on the horizon in the French Cay area and are a testament to the treacherous reefs. 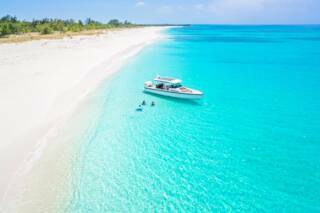 French Cay is known to be one of the best places to see sharks in the Turks and Caicos. Grey reef sharks are the most common variety, yet nurse, hammerhead, bull, lemon and tiger sharks can be spotted at times as well. During the June and July mating season, large numbers of nurse sharks may be seen congregating in the shallows on the leeward side of the island. French Cay is a protected nature sanctuary. Permission is required to land on the cay. It is illegal to disturb any wildlife or take any natural or historical object.